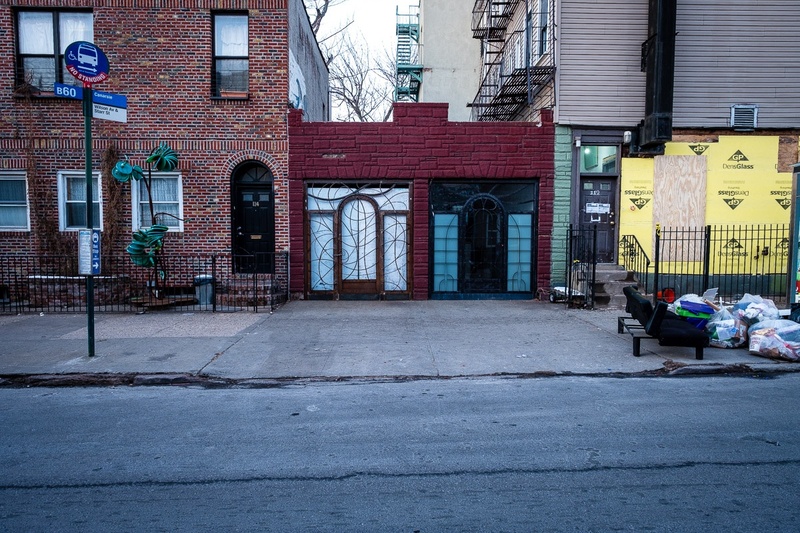 I have no idea what that little building is on Wilson Avenue in Bushwick. I spent part of a recent Sunday morning shooting in that neighborhood, and hope to return soon. It is an interesting place: historically German when much of it was built, it has gone through various waves of working class immigrants from different areas. Currently it is largely Hispanic, mostly from Puerto Rico and the Dominican Republic, although other Latino groups are growing. But there is also now a growing population of hipsters and artists moving in, as increasing rents send them further and further from downtown Manhattan.